You Forgot the Stereo, Moth**f***er! 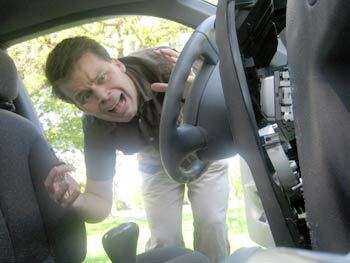 On Friday morning, after a wild Thursday night at the Cockerham family home, I opened up my car door to find the battered remains of my car's center console. 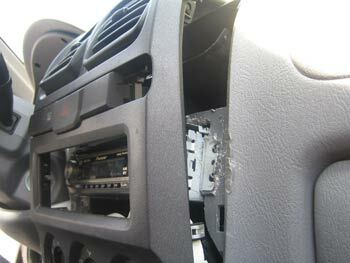 Someone had broken into my Mercedes G500 Grand Edition and had stolen with my stereo. Except, it isn't actually a Mercedes G500, it is a Hyundai Accent. And, they hadn't actually broken in, I had just forgotten to lock the doors. 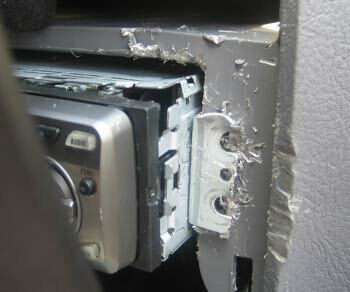 And, they didn't actually steal the car stereo. The center console mega-faceplace had been pried back, and all the heat and air knobs were rolling around on the floorboards. I was on my way to work that morning, actually running late, so I didn't have time to survey the damage very thoroughly. 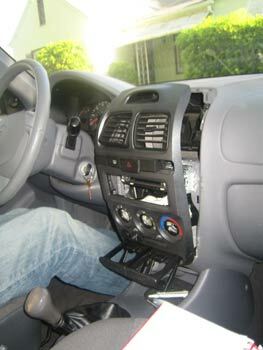 I was almost to the freeway when I realized that the stereo was still in there! Score! A smile broke across my face and I laughed out loud. YES! You forgot the stereo Moth**f***er! The would-be thief had apparently chanced upon my unlocked door, and although improperly equipped, saw this as his best opportunity to steal my $130 Pioneer P-3700MP SuperTuner CD player. From the markings, I guessed he had used only his teeth to chew away at the dashboard and bracket. A check of the car interior resulted in this, Exhibit A, the 50-cent Chinese-made scratch awl. 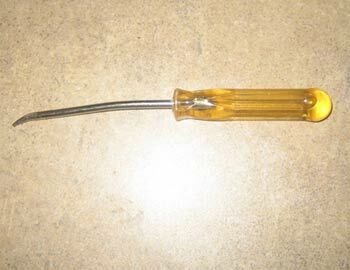 These awls are highly regarded by thieves, because they are essential shanking-equipment in prison. A scratch awl is lousy for removing screws, but it looks like my determined thief made quite a go at it! What a mess. It looks like starving rats were trying to escape through the dashboard. In the lower left hand corner, a small black screw-head is visible. That is one of the two screws that holds my removable faceplate on. I'm too lazy to remove the faceplace all the time, so I just attached it with these two included screws. I guess I got away with it this time. 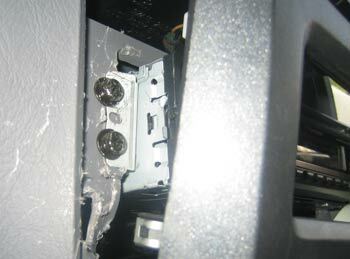 These two screws, on the left side of the stereo bracket, wouldn't budge. 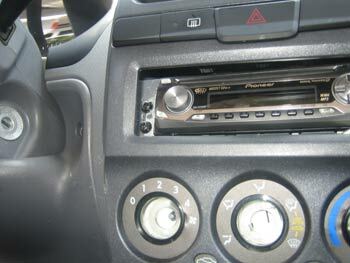 The stereo also has a backstrap. The next morning, I cleaned it all up, screwed everything back in place and jammed my heat/cool knobs back onto their shafts. 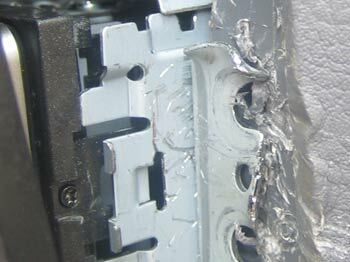 The center console escaped with just a few visible scars. Tragedy avoided! It is what makes life worth living.